Having problems with the sewer line can be a total nightmare. In ideal conditions, the water that flows down the drain from your shower or sink, as well as when you flush the toilet, is carried away by gravity through a series of pipes until it reaches the sewer main. It is then sent to water treatment facilities, and you probably never even pay attention to this process since it happens every day without your intervention. Problems with your sewer pipe can be dangerous for several reasons. Along with disrupting the regular routine of your home or business, sewer pipe problems can also cause health hazards and cost you a lot of money in repair work if not fixed in time. Our solutions are designed to resolve the problems commonly found in pipelines, such as clogs, corrosion, cracks, and leaks, by effectively rehabilitating the pipes completely from within. We strive to keep our customers safe, and because of this, we ensure that our repair methods are eco-friendly and efficient. With the assistance of our professionals, we can keep your pipes in peak condition for many years. The first step is inspecting the sewer pipes. To do this, we use a small video camera that is inserted into the sewer line. It sends a video feed to a monitor, where we can check the pipe’s condition. Any cracks, broken pieces, loose joints, and clogs are displayed, and we can also check the exact location of each problem detected. Then we need to clean out the pipes. After many years of service, all sewer lines start to show debris building up, which needs to be removed. With the help of a pneumatic cutter, we will get rid of these obstructions, which also restores the pipe to its original diameter. Once the line is clean, we can proceed with the cured-in-place pipe lining process in your sewer pipe. A liner is first coated with a unique epoxy formula and inserted into the pipe system. Once it reaches the spot that needs to be repaired, a bladder is inflated so it pushes the liner firmly onto the pipe’s walls. A few hours later, the epoxy hardens and turns into a rock-solid piece which covers cracks and broken pipe pieces. Instead of just patching the pipe, it replaces it and becomes a pipe within the pipe and can last for over 75 years. 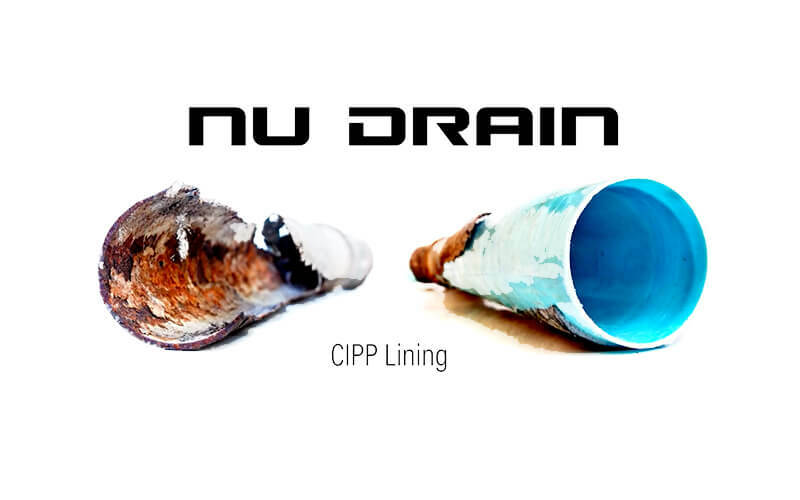 At NuFlow Phoenix, our expert technicians are skilled with all the experience and machinery required to repair any sort of sewer pipe damage and can ensure that you don’t face a wastewater flood on your property. Instead of digging through your property and having you spend a lot of money first on repair work and then on the restoration process, our trenchless technology allows us to perform these services through no-dig solutions. A broken vent stack can allow rainwater and sewage to leak on your property, creating health hazards and water damage that would be expensive to fix. To avoid these situations and save money on repair costs, call our team at NuFlow Phoenix to repair your vent stack with our innovative vent stack lining solution. Vent stack lining is a process that allows us to quickly repair the vent stacks on your property at affordable rates. Rather than creating more property damage and inconvenience with ineffectual digging, our technicians use the latest technology to carry out vent stack lining with no-dig procedures that require little time to be installed and effective. Our new approach to fixing vent stacks allows us to maintain the integrity of your property and prevent any further damage to its structure. Through a small access point in your property, our trained technicians can easily locate and diagnose the problem with a special high-resolution video camera. The camera is able to be moved through the vents with a cable, and the real-time footage gives us an accurate view of the conditions of your vent stacks. This vital information ensures that the solution we recommend will be effective and address the problem accordingly. After we have cleaned the vent stack, we insert our epoxy-soaked liner into the vent stack and position it to cover the damages once it’s inflated. The epoxy resin is transferred from the liner to the walls, and after it is applied, the resin is cured and hardened. The resin, once it fully hardens, takes the form of the original pipe and seals away the cracks and breaks in the host pipeline. This process allows vent stack lining to be so effective and reliable. By installing a new lining from the inside, the damage is completely eliminated while offering a new solution that doesn’t require excessive demolition or time to be installed. At NuFlow Phoenix, our no-dig solutions are perfect for home and business owners who do not want to see their property torn down and need to be restored with additional costs and labor. Vent stack lining is a reliable process that is convenient, fast, and cost-effective solution that guarantees that future repairs won’t be required anytime soon.